. Old School Tees Blog: What makes for a great Vintage T-shirt? At Oldschooltees.com we have thousands of vintage inspired t-shirts. These are high quality new t-shirts that are created specifically to have the look and feel of a vintage tee. These tees are generally referred to as "vintage style" or "vintage inspired". These new tees are for people that prefer vintage style, but desire a new product that comes in a wider range of sizes and is usually much less expensive than an old vintage tee. Some of our vintage tees are more popular than others, but our most popular designs have a few things in common. A great vintage tee requires three things: a vintage theme, a vintage or retro printed design, and the right tee shirt fabric. Let’s take a look at each one of these attributes. A Justin Bieber t-shirt is not a vintage t-shirt, maybe in 25 years it will be. The theme of a vintage t-shirt should be something that people are nostalgic about. It is usually something that people are passionate about. 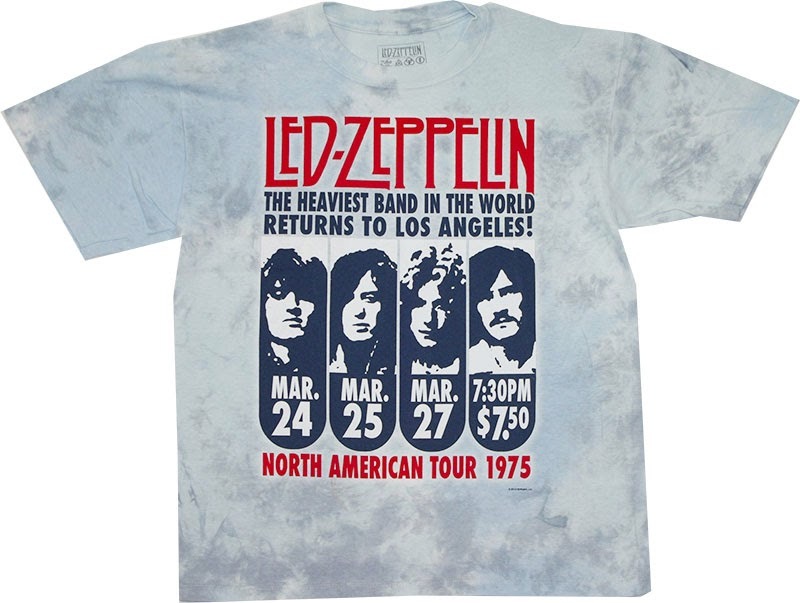 Led Zeppelin t-shirts, Mickey Mouse t-shirts, Rocky (the Movie) and Pink Floyd tees are all great examples. Most of our vintage tees are from bands, movies and TV shows that are at least 20 years old. 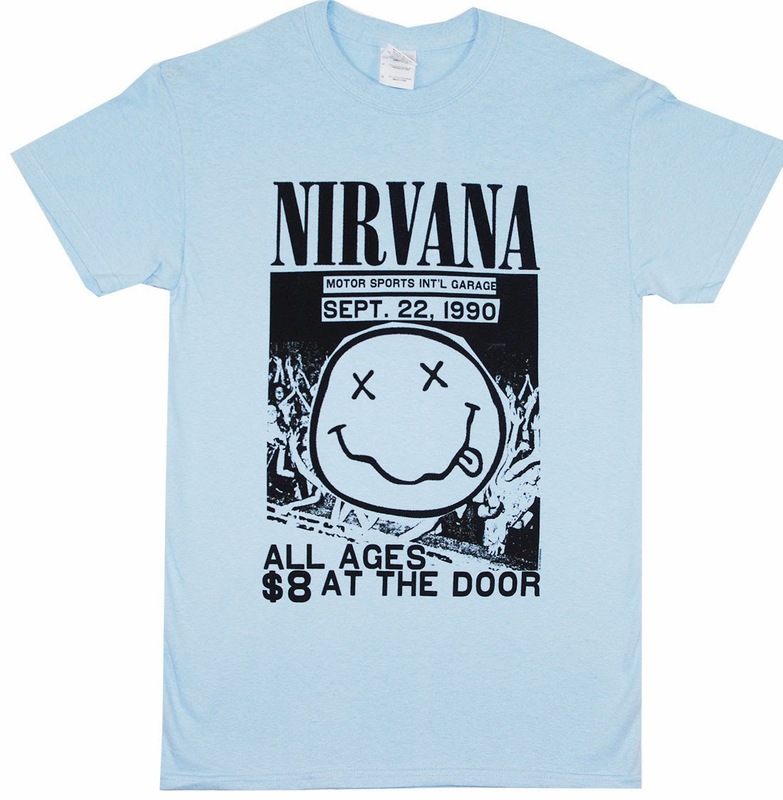 This means Nirvana t-shirts are vintage tees as well, but shirts from more recent bands are not considered vintage tees. Music t-shirts, sports tees, retro brands, cartoons, and super hero tees can all be great subjects for vintage tees. T-shirts that feature defunct bands or concert halls are some of the best shirts. Shirts that feature concert dates from the 60’s 70’s and 80’s are very popular vintage themes. The print a on a vintage tee should look genuinely distressed. The shirts may be silk screened or printed on DTG printer, but they need to have a distressed look to them. They should not have a clear and crisp printed design. Distress prints are often crackle printed and faded to make the shirt look like it is well worn and much loved. Beefy tees, need not apply! Vintage tees should be printed a fine t-shirt. A fine t-shirt is a high thread count t-shirt. The most common is called a 30 single tee. These tees use a 30 single-needle yarn, in contrast to the more common 18 single. More cotton threads per yarn will produce a finer and softer feel. Many other techniques can used to produce soft and comfortable tees. These include enzyme washes and the use of fabric blends, including cotton/poly blends and tri-blends. Additionally, Old School Tees carries t-shirts that are made in America by quality producers. We feel that this adds to the value of the vintage design. Ringer tee and pocket tees also provide a great vintage feel to our vintage tees. This shirt brings together all of the attributes of classic vintage inspired tee. 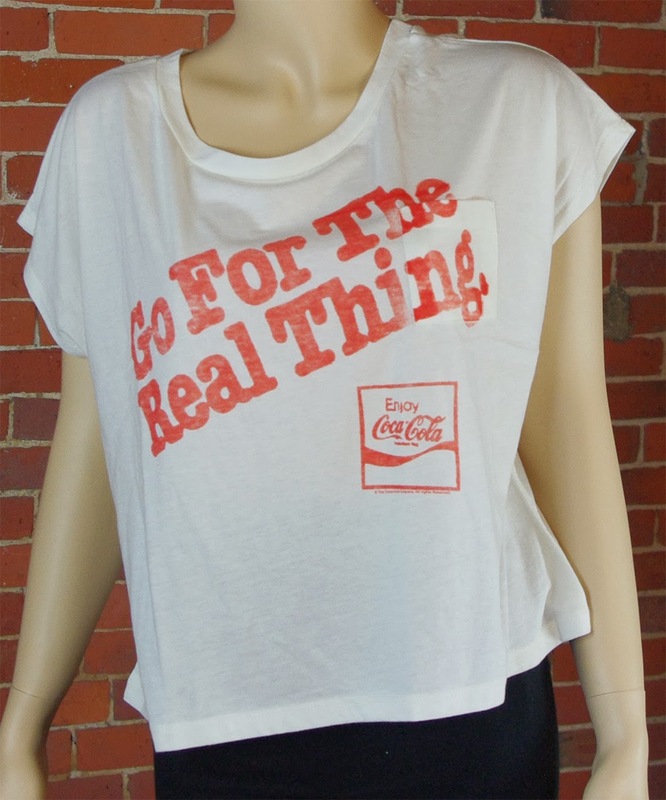 This women's Coca-Cola pocket t-shirt has a retro design with the Coke logo and a double-entendre tagline. 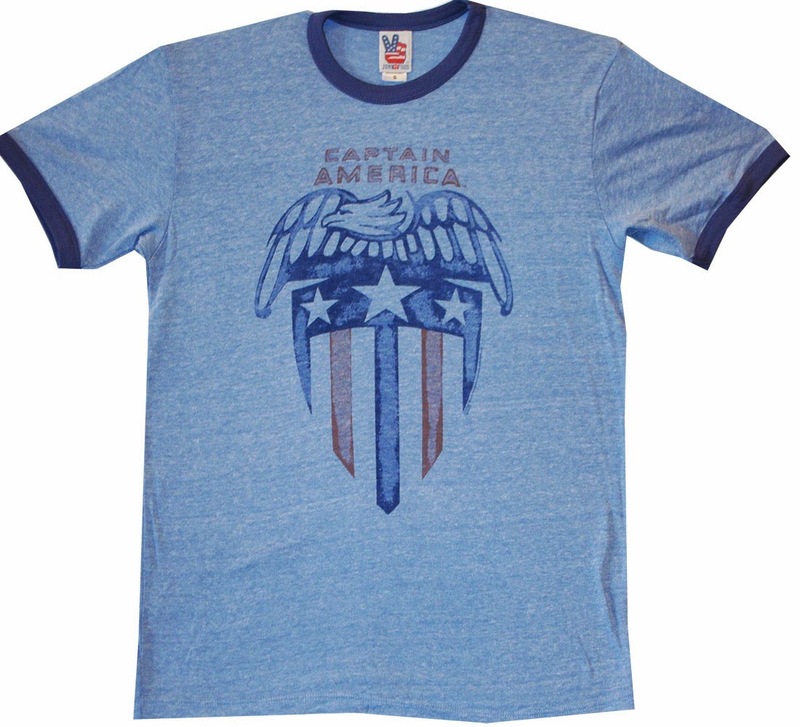 This tee is a very soft and comfy, made in the USA, 50% cotton / 50% Poly fabric t-shirt. Thank you for reading and please browse our more than one thousand vintage inspired t-shirt designs. We think we have the best collection of top quality tees on the internet.